The next time you feel stressed, smile. 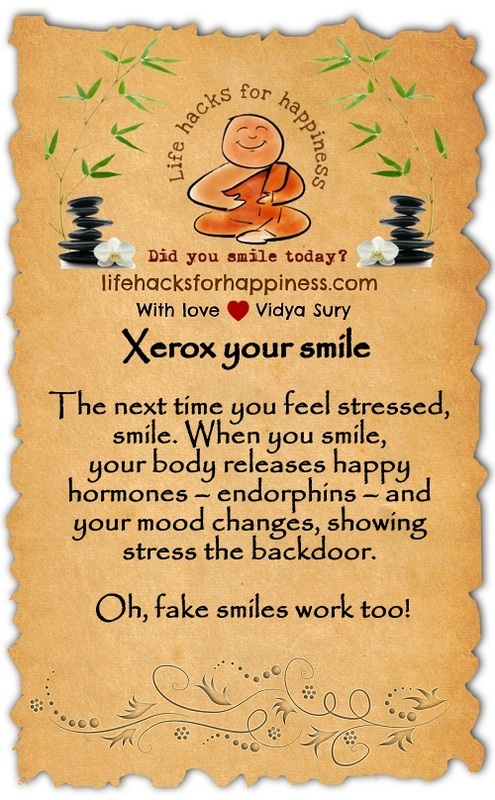 When you smile, your body releases happy hormones – endorphins – and your mood changes, showing stress the backdoor. Oh, fake smiles work too!